FREDERICK, Colo. -- Authorities say bodies believed to be a pregnant woman and her two young children were found on the property of one of Colorado's largest oil and gas drillers where her husband used to work. John Camper, director of the Colorado Bureau of Investigation, told reporters Thursday that investigators have found Shanann Watts' body and were trying to recover what they believe are the bodies of 4-year-old Bella and 3-year-old Celeste from Anadarko Petroleum Corp. property. 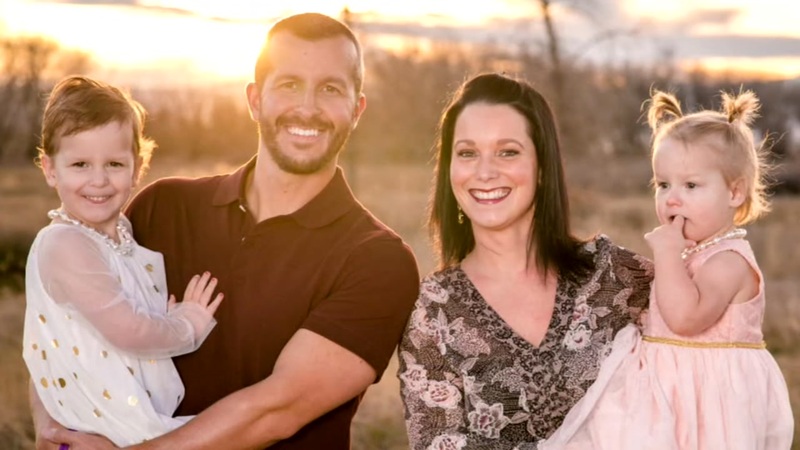 Christopher Watts, 33, is charged with three counts of murder in connection to the deaths of his 34-year-old wife Shanann, who was 15 weeks pregnant, and their two daughters, 3-year-old Celeste and 4-year-old Bella. He was taken into custody Wednesday in Frederick, Colorado, a town 28 miles north of Denver. His pay stubs show he was working for Anadarko in 2015. The family has strong ties to North Carolina. Shanann Watts is from Moore County and attended Pinecrest High School in Southern Pines. Her family still lives in North Carolina. Chris Watts went to Pine Forest High School in Fayetteville and graduated in 2003. "I don't know why he would want to kill her, the wife and the two kids," said Joe Beach, a neighbor of the family in Aberdeen. "Like I said, the two kids were nice kids. I don't know. To me, it's a senseless murder, and she was looking forward to that third child. Because she was pregnant with a boy. " Shanann and the two young girls were reported missing Monday. "You know this is a senseless-type thing," Beach said. "I have chickens in the back, (the daughters) came over, played with the chickens and the mom and dad are very good people. Everybody in the neighborhood knows them. "Knowing her, and knowing the type of person she is, or I should say she was ... I'm surprised that this happened," Beach added. "And I really hate it."